Components to reduce interference and help extend the life of your controller. Reducing electrical interference is important for a number of reasons. It stops your system from causing interference with others, but more importantly it prevents unwanted electrical signals getting into the more sensitive parts of a controller [the mosfet gates] and causing destructive latch-up. This page in our knowledgebase gives more detail. To help with this we have put together some interference suppression packs that contain the components we recommend fitting. Motor suppression capacitors. Fit these directly across the motor brushes to catch noise from brush arcing. Ferrite rings. 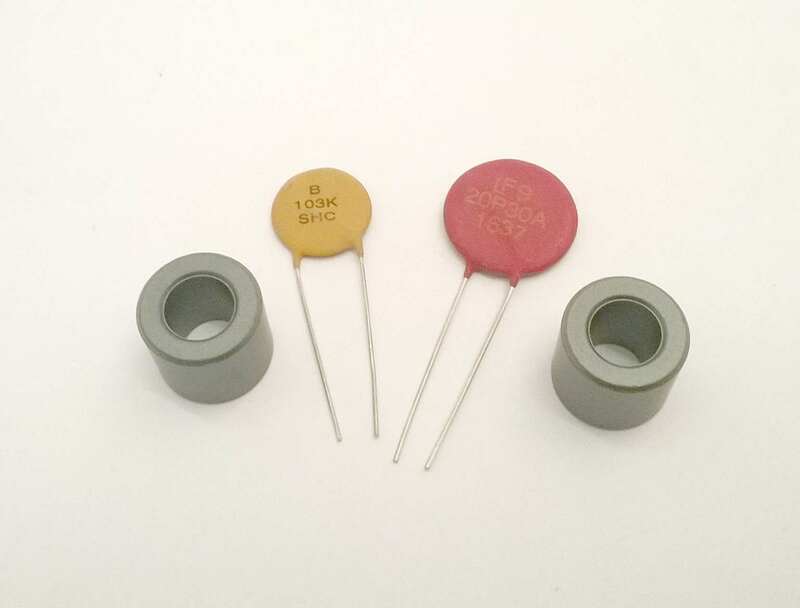 These reduce any high frequency noise not caught by the capacitor travelling along the motor wires. Transient suppressors. Fit these to any system likely to suffer voltage spikes. These include automotive applications, fighting robots, and anything where there will be rapid changes to the motor speed and direction. Each pack is suitable for one controller and motor, if you have more than one motor then you should fit an additional motor pack to each of them. Please note that there are different packs for controllers running at 24V and 48V, the motor packs are not voltage sensitive. The components should be fitted as close to the motor as possible, see our noise suppression page [and don’t forget to twist the motor wires].